Referencing an “island” when it comes to the New York Jets of the last decade has typically referred to cornerback Darrelle Revis. These days it’s wide receiver Brandon Marshall who is on an island. In 2015, Marshall’s first with Gang Green, the Jets won 10 games as Brandon, Eric Decker, and QB Ryan Fitzpatrick were the three best friends that anyone could have. Decker was placed on IR last week and today it was announced that Ryan Fitzpatrick was benched in favor of Geno Smith. As the sole best friend left, Marshall is looking to buddy-up with Geno now. Brandon Marshall on Geno Smith: "It’s been amazing to see this guy grow and really punch adversity in the face." At first glance this seems like a random quote, but it is oh so much more. In August of 2015 then New York Jet IK Enemkpali punched Geno Smith in the face, breaking his jaw and opening the door for Ryan Fitzpatrick to come in and have the successful season that he did (31 touchdowns and 15 interceptions). 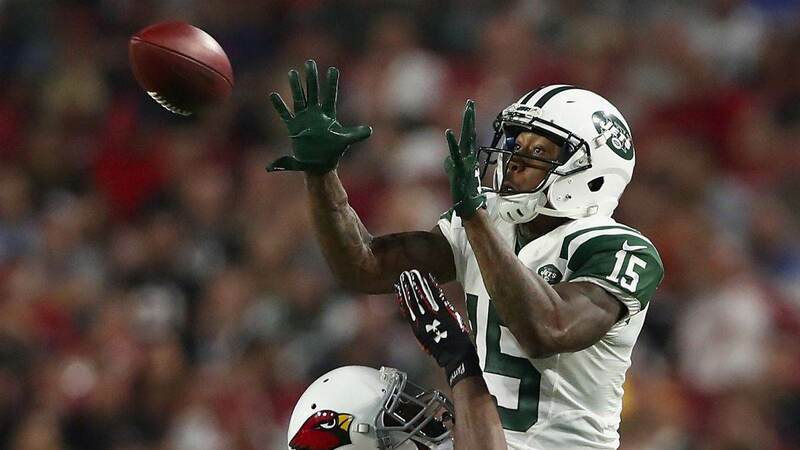 Brandon Marshall has always marched to the beat of a different drum in his NFL stops (Denver, Miami, Chicago, and now New York). Whatever he meant with this subtle joke… he’s going to need Geno Smith in order for anyone in New York to have success the rest of this season. Do you think Brandon Marshall and Geno Smith can find harmony? Let us know! Comment below, Email me at RJ@RJOchoaShow.com, or Tweet to me at @RJOchoa!